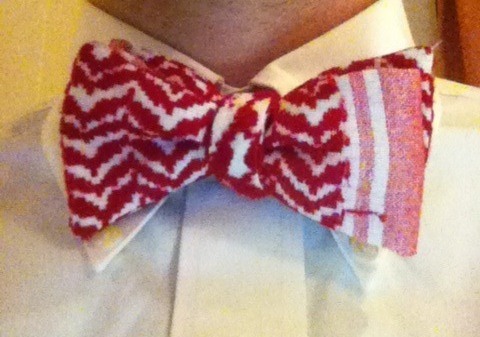 Posted on October 15, 2011, in Bow Ties, Jordan, Living Abroad. Bookmark the permalink. 3 Comments. well, it’s actually more complicated than either of us are making it. even though one color might be strongly associated with one regoin/political groupl/people, people wear lots of different ones. can’t tell by your comment exactly what you mean, but all i know is that red/white is strongly associated with jordan (though may be associated with other places too). I’ve stumbled onto your blog for entirely different reasons than math and bowties, but that’s the stuff that has kept me on your site, whittling away a much-needed prep period. I’m an expat math teacher in Morocco, also reppin’ Bow Tie Tuesday. Aside from bowties, your post about the disconnect between how we see math (the beautiful, logical, interconnected majesty of it all) and how students see math (a bunch of mundane, arduous BS that teachers make them to because we delight in their pain…) resonated with me. I feel much the same way, and I am continually work hard to help students see how much more there is to math than rote operations. I’d love to share more about math, teaching, expat living, Americans in MENA, our schools, our students, bowties… shoot me an e-mail when you can.